For me, the long weekend for Memorial Day will always symbolize the onset of summer. It is a time when everyone packs up their cars and heads to the cabin “up north” or visits one of Minnesota’s numerous state parks or lakes. It represents freedom in more ways than one. The freedom of summer and of course the freedom that we are so lucky to have living in this country. A freedom that so many brave souls have fought for and died for. My grandfather, father and two uncles were both in the US Navy. For my dad, it was a life-changing experience. At the tender age of 19, he set sail and saw the world. He told me that he will never forget the time the ship pulled into a harbor in Italy. It was the early ’60s and his young eyes had never left the United States before. He noticed that there was a large mob of Italians waiting for the ship to pull into port. Was it a welcome? he thought surprised. Slowly the ship moored and once it was fully secure, the desperately awaiting crowd did something that stunned my dad. They ate. What on earth are they doing? my father asked an older, more experienced shipmate. Eating dinner he replied with a deep, shameful look in his eyes. The locals were so hungry that they feasted off the ships garbage for their meal. It was that moment in which my dad realized how truly fortunate he was, and moment that would be passed on to his children over the years. His three year service in the Navy began a life long passion of travel and seeing the world. A passion that passed on to me and has never left my soul. A holiday weekend away from home, along the North Shore of Lake Superior got me thinking. What does Memorial Day truly mean? And what does it mean to me? Back in early June, my family and I had the pleasure of spending a long weekend along Minnesota’s sensational, untouched North Shore of Lake Superior. 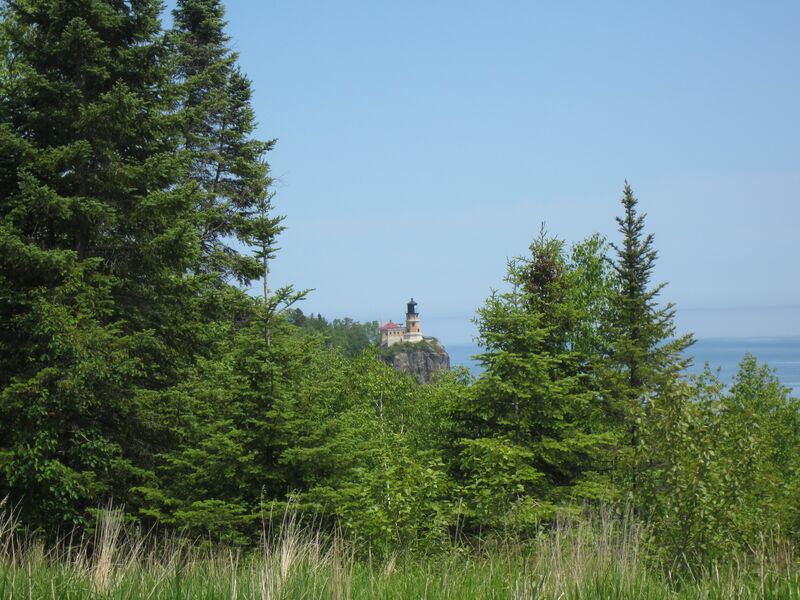 I’d written quite a few posts about the gorgeous hikes we did in this area (to read them click here) but never had a chance to write about our final hike along the Split Rock Lighthouse Coastal Trail. 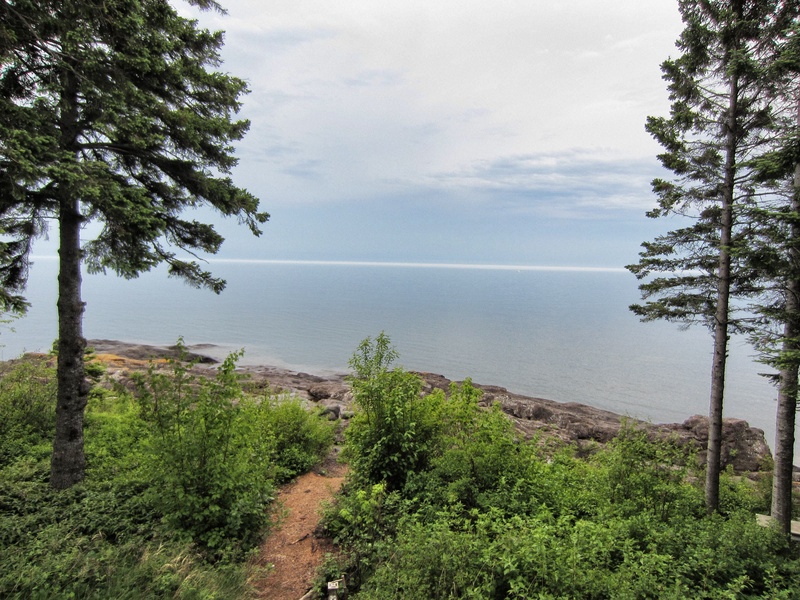 Author’s note: I’m back to my series on our long weekend at the North Shore of Lake Superior in Minnesota. To read recent posts in this series, click here. 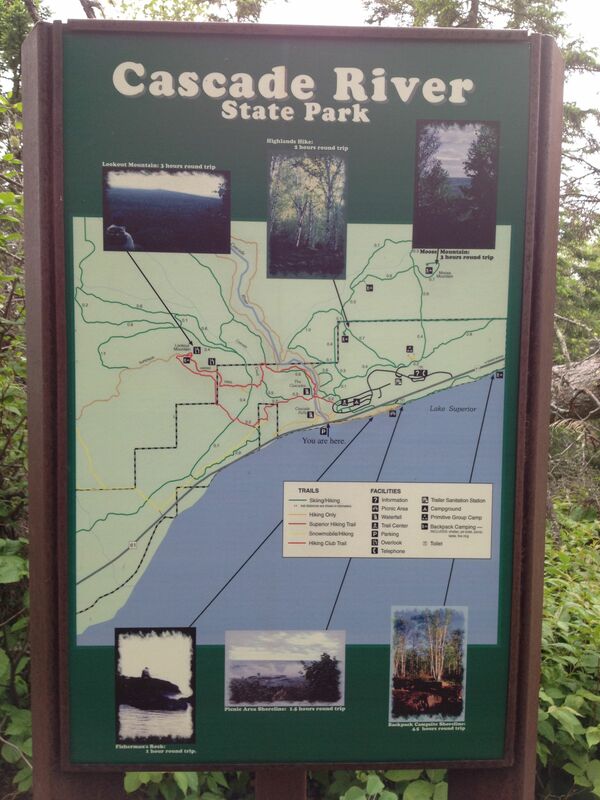 One of the most popular State Parks along Lake Superior’s North Shore is Cascade River State Park. Located about 10 miles southwest of Grand Marais, Minnesota this park offers spectacular waterfall views and rushing rapids of root beer-colored Cascade River. 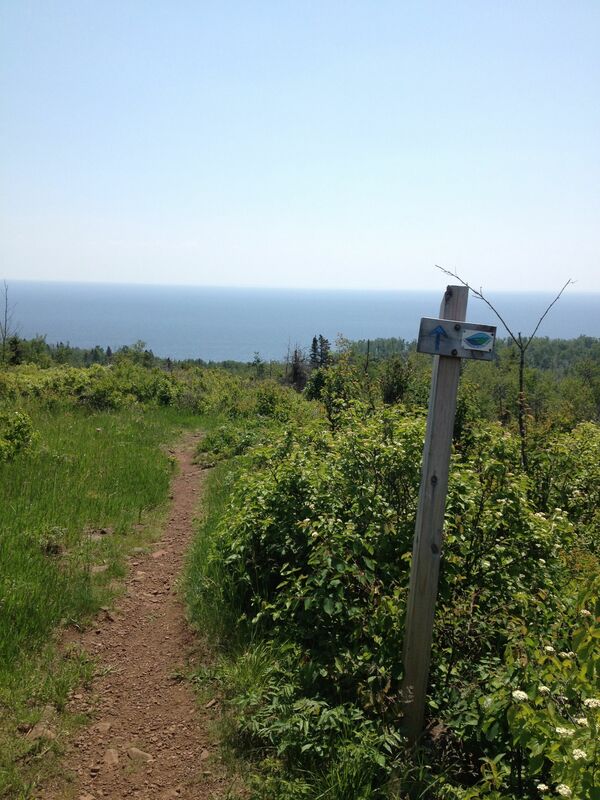 There are over 18 miles of trails within the park and it also meets up with the 286-mile long Superior Hiking Trail. There is a wide variety of flora and fauna to be discovered but what I enjoyed most was the sounds and sights of the roaring river and multiple waterfalls. Our first morning along Lake Superior’s North Shore wasn’t looking too promising. Dark clouds had rolled in over the lake and we could hear the low rumble of distant thunder all the way across to Wisconsin. I sat out on the oversized verandah, sipping my morning juce (mi gasolina, as it was nicknamed during my recent trip to Guatemala) and listening to the dramatic, haunting call of the loons. We arrived on the North Shore of Lake Superior mid-afternoon on a Thursday. The weather was perfect and amazingly cool compared to Minneapolis, just a few hours south. We made a few stops along the way to Gooseberry Falls and also pulled over to take a shot of the most photographed site in Minnesota, the Split Rock Lighthouse. The air was fresh and pure. The brilliant blue waters of Lake Superior glistened in the sun. I could hardly wait to get to our destination, a log cabin along the shores of the lake, and spend a weekend relaxing, hiking and doing what I love best: Enjoying nature and being together with family. There couldn’t be a more ideal place for it than here. The state of Minnesota may have some severely cold winters, yet one thing that makes up for it is the fact that we do have lakes. Lots of them. Recent estimates have put Minnesota’s lakes in the 11,000-13,000 range, depending on what you count as a body of water. Lakes not only provide us with water but with everlasting, pure beauty and recreation. You can hardly drive anywhere without seeing a lake.